Shopping for a new home in Highlands Ranch, Colorado? Be sure to take a trip to the Backcountry community. You have several options when building a home in the Backcountry. Both Richmond American Homes and Shea Homes are building in Backcountry. Or you can choose to build a custom home. Shea Homes is building three collections of homes within the Backcountry community. Today we’re taking a look at their Painted Sky Collection. The Painted Sky collection at Backcountry in Highlands Ranch gives homebuyers the choice of six different floor plans. And there are four models on site to tour. Be sure to check out the videos below for a full walking tour of each floor plan. Base prices start in the high 500’s and top out in the low 600’s. The Backcountry in Highlands Ranch, Colorado is a beautiful gated community. It’s hilly landscape allows for some amazing views of the mountains and downtown Denver. The water features throughout the community add to the gorgeous landscape. And outdoor enthusiasts won’t be disappointed with the 8,200 acres of open space and miles of trails in the Backcountry. To see homes at the Backcountry in Highlands Ranch contact Courtney Murphy. Courtney is a Denver metro Realtor and specializes in new built home sales. She will save you money on your new built home, so don’t go house shopping without her. Click here to visit the Painted Sky Collection at Backcountry in Highlands Ranch. The Painted Sky collection by Shea Homes is a collection of ranch floor plans. 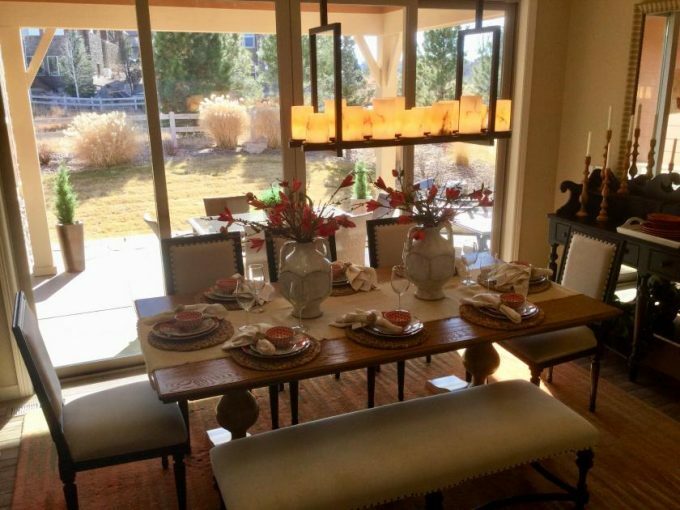 So if you are looking for a ranch home in Highlands Ranch, you don’t want to miss this collection of beautiful homes.